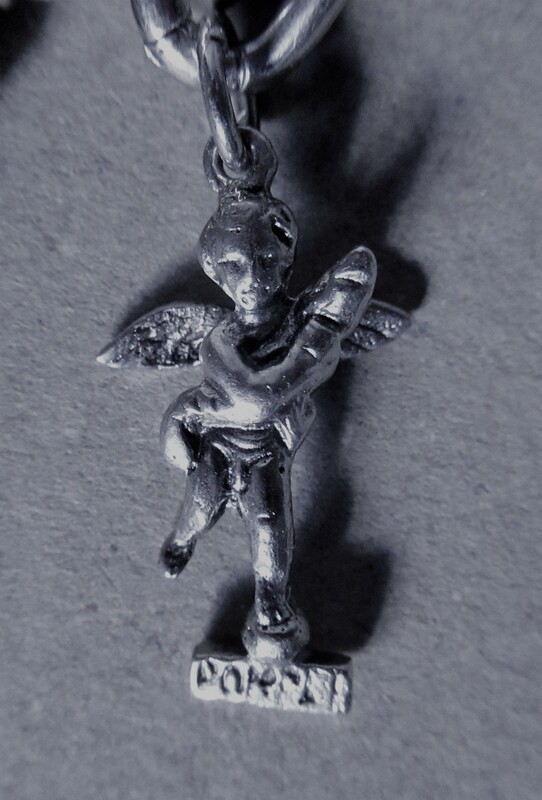 I’ve been collecting charms for the last few years. Metaphorical ones, not silver. I’ve plenty of those– and I rarely wear the bracelet. It was a present from my parents when I was little. A special request when no doubt it was a newly fashionable thing. Again. What goes around (the wrist) comes around, right? It made life easy for gift-givers for a while, witness some of the oddities on the links. My almost-but-not-quite-brother-in-law (the engagement fell through) bought the most memorable. He had a sense of humour and liked beer. So no surprise it was he who bought me a pub that opened – by its floor – to show a drunk inside. That drunk is now locked in the pub forever, eternally merry, belligerent – or dead. The floor kept falling open, snagging on things, so it had to be soldered shut. Memories of many hues dangle from the chain. Poignant, sharp or fuzzy (why a lawnmower? Whoever bought a little girl that? My father, wishfully thinking?). My mother contributed the statue from Pompeii. She went with my not-a-real-aunty Maureen, because my father wouldn’t fly. But that – and a ban, following a disastrous ear operation – didn’t stop my mum. 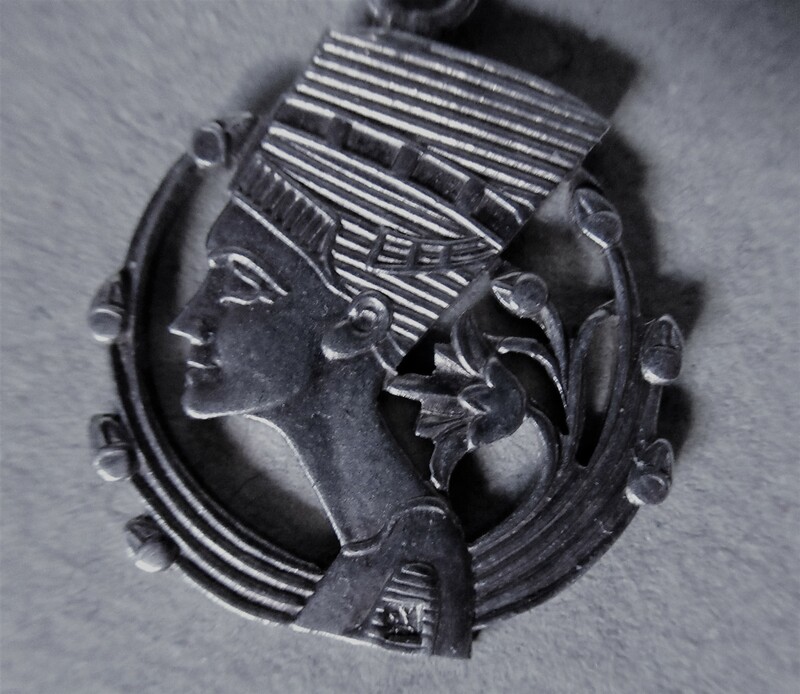 Nefertiti I bought myself, in Cairo. A stressful, chilly, working week. But I sneaked a quick trip to the pyramids, the requisite inelegant camel ride and a son et lumière on the Giza Plateau. I was helping to run a conference about electricity. And I fell sick, of course. Did I brush my teeth in tap water, asked seasoned travellers? Whatever. It’s the only time I’ve ever had an injection in my bum because I was vomiting. 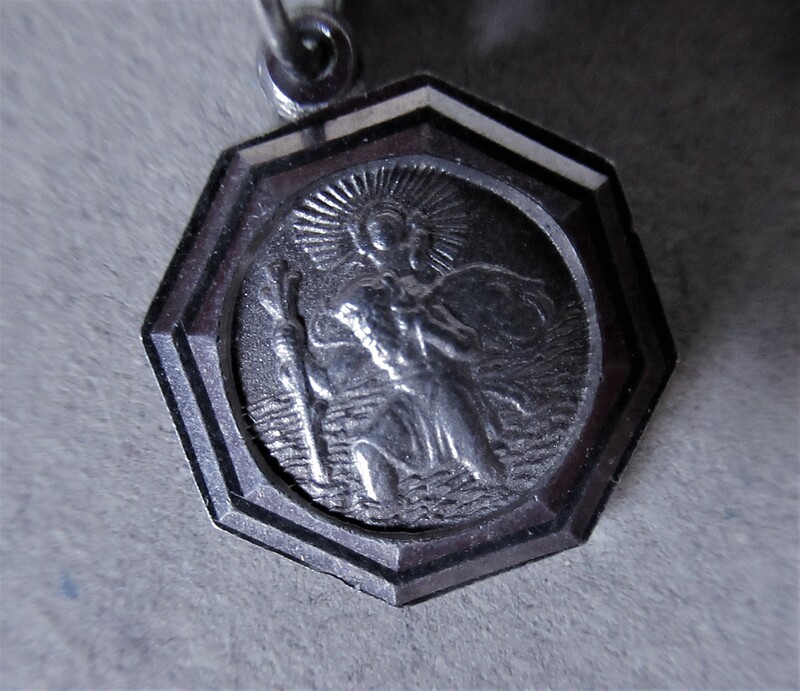 St Christopher came in the post with a Christmas card and flimsy chain, not long after I finished university. Sent by a devout, Anglican, would-be beau who wanted to take care of me. He said. And, most recently, an unearned, stylised shell from Santiago. Bought by my lovely Prof.
We neither of us walked the Camino, but the memory shines bright. Perhaps all the brighter for want of blisters. So the heart-shaped lock is appropriate, for it symbolises the locking-up with love of all these trinkets and their memories. My new charms are not possessions. Yet, I can ‘own’ them if I choose. I recently added a new one to the collection. I’d only just realised I was collecting, or I’d have added it before. We’d spent a wintry night at a nature reserve, in a wood. Stargazing. There I saw a galaxy – a galaxy! – called Andromeda, through a small telescope. I saw blue-hot stars shining from light years away. I saw mountains on the moon, the dusty ring of a nebula and the celestial hoops around Saturn. I saw lights that may have long-since ceased to shine. How can this be? No, don’t explain, I know there are answers, but that doesn’t mean I want to understand. I like the unsolved mystery, the wonder, the unfathomableness of it all. It was awesome. And I was in awe. But wait, that’s not the charm. The stars are not for owning, not even metaphorically. Two days later, a drear Sunday, out we set. The heavens had spoken. We had to go. 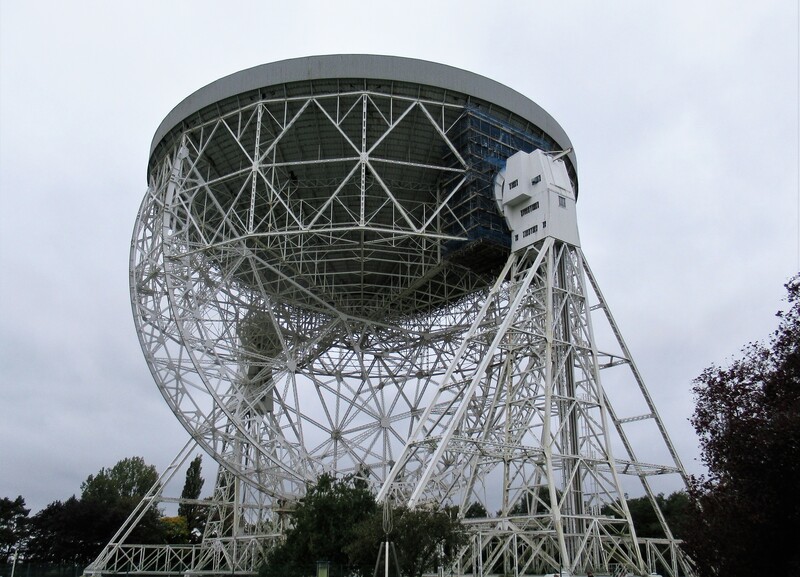 I’ve written about it before, Jodrell Bank. There’s something humbling yet inspiring about the place. One man’s vision come to fruition. A classic British back-of-a-fag-packet project that, in the 1950s, led the world. Sir Bernard Lovell. A pioneer. It was from here that the Russian Sputnik – and the first dog to travel into space – were tracked. The debt-ridden early radio telescope became viable when the USA began sprinting into space to keep up with the Russians. They needed its then-unique expertise and camped out in the grounds. Read the fascinating stories here. Anyway, that dreary Sunday we took out a year’s membership. Despite the unusually unpalatable lunch in the cafe. Despite the fact that scaffolding was up around the telescope itself and the hoped-for magical movement was not going to happen. It will, one day. And these things happen to charms. Even those stored in my head, not my jewellery drawer. We have a penchant for managing things. 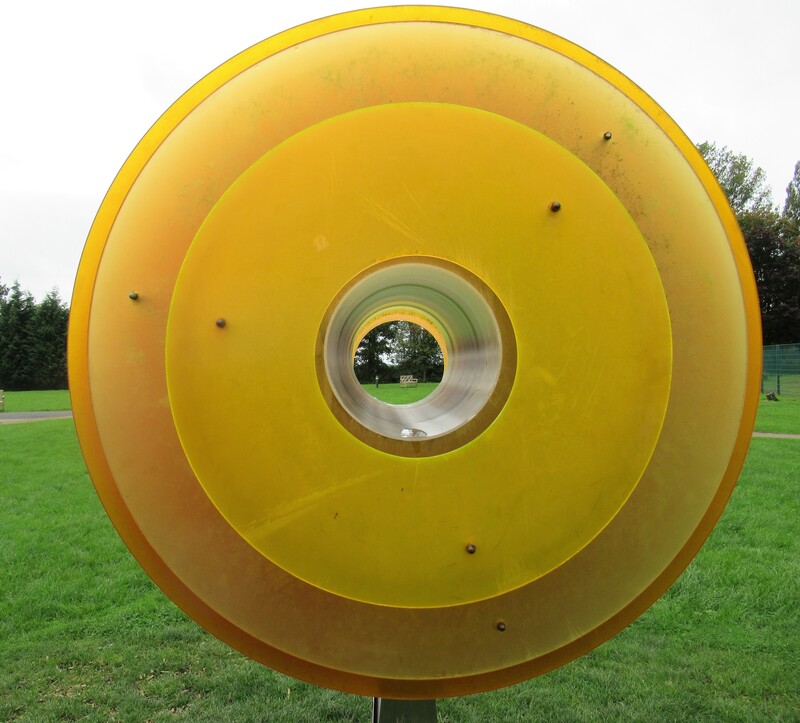 We manage gardens and woodlands, coasts and lakes, rivers and streams, museums and galleries. Which means sometimes, they lose their shine. For me, anyway. Museums turn hyperactive. 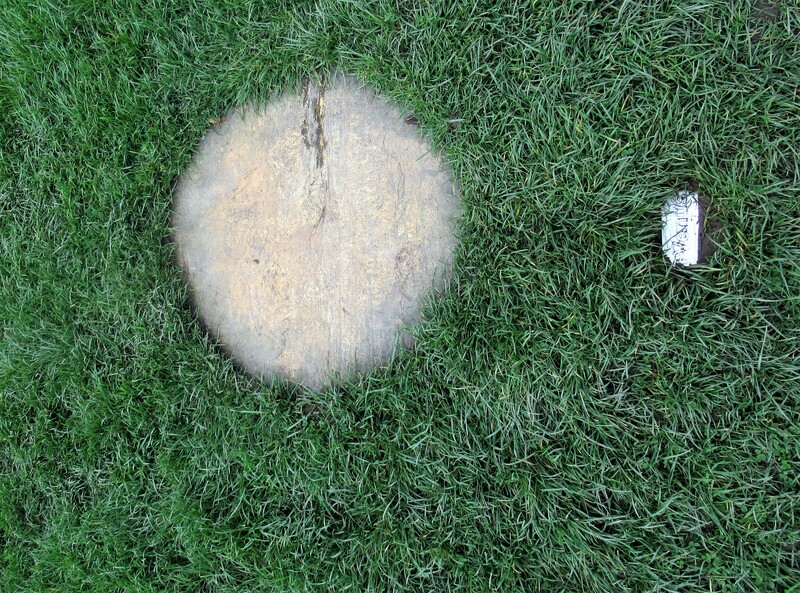 Long grasses are shorn and graceful trees lopped. But I’m learning to leave well alone. To push such temporary tarnishings to the back of the mental drawer till their time comes round again. 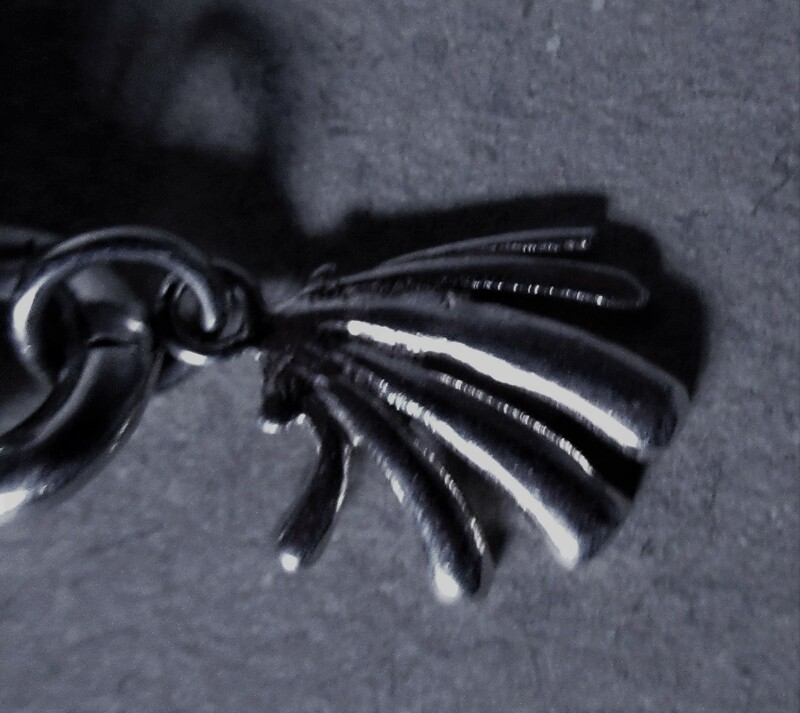 For even intangible charms have their season. But then again, sometimes, not. This entry was posted in Art, jaunts & going out, Britain now & then and tagged Andromeda, camel riding, charm bracelets, Jodrell Bank, mystery, pyramids, radio telescopes, space race, Sputnik, vomiting. Bookmark the permalink. A friend and I were talking just this week about how when we look at a rainbow we don’t want to know why and how it is formed, just enjoy its beauty. The big bang sound was interesting, as were your thoughts about memories. I love knowing what goes through other people’s minds. It is not an easy thing to record. Keep well. Thanks Ardys, yes, I love to imagine what people are thinking – but sometimes I wish I could shut my own mind up! And totally agree about rainbows and other beautiful, myserious phenomena. Mary, I enjoyed your charming story of your bracelet. What a great idea! 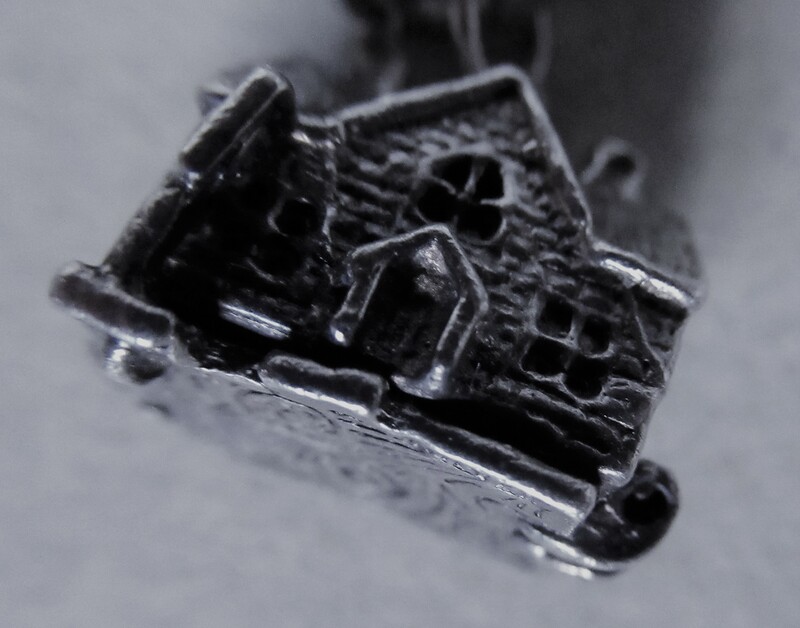 The pub charm was the best! Today people keep their charms on a Pinterest page. But they miss out on the jingle, jangle when they walk! They do jangle! I sat next to an American (sorry) woman in the theatre in Stratford upon Avon once long ago – was with my parents. She had a massive charm bracelet on and plainly was bored by the play, she kept smoothing a fur (!) stole she had. I had to ask her to keep it still eventually as everyone around was quietly tutting! An aunt wished to start me off with a charm bracelet…father put his foot down on the grounds that it was both vulgar and unaesthetetic. I must admit I am not thrilled by how they look on, and as Thel says, they do jingle jangle (and catch on things) but the memories are still there when some of the people who gave them no longer are, which is the best thing. Vulgar? Hmm, possibly! But they really do make present giving easier! Thank goodness for the American woman that father was not sitting near her! Yep, I didn’t know him but from what you say – eeek! 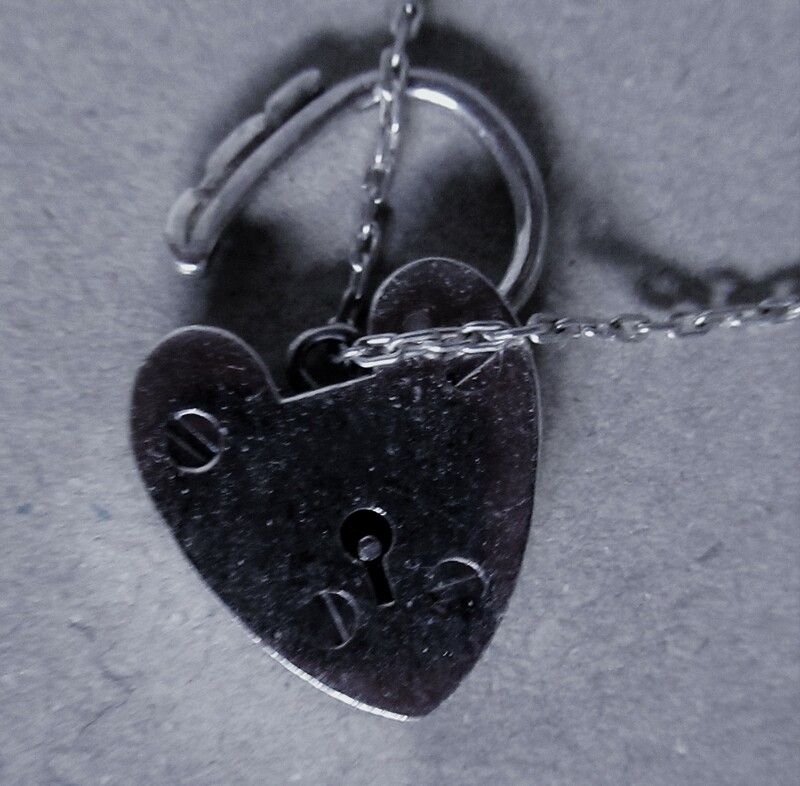 The silver sixpence and locket heart were on mine along with others, a shoe and those forgotten. Mine went long ago in a ‘sort out’ during one our hose moves. My mother bought the it when I was young and ga e me a charm each year to add to it. As you can see my my enthusiasm waned rather quickly! But lately I put a few other silver trinkets on it. The ‘sixpence’ is actually a ‘calendar’ from south America given to me many years ago by my first female boss. I remember people having boots but am still bemused by the lawnmower! 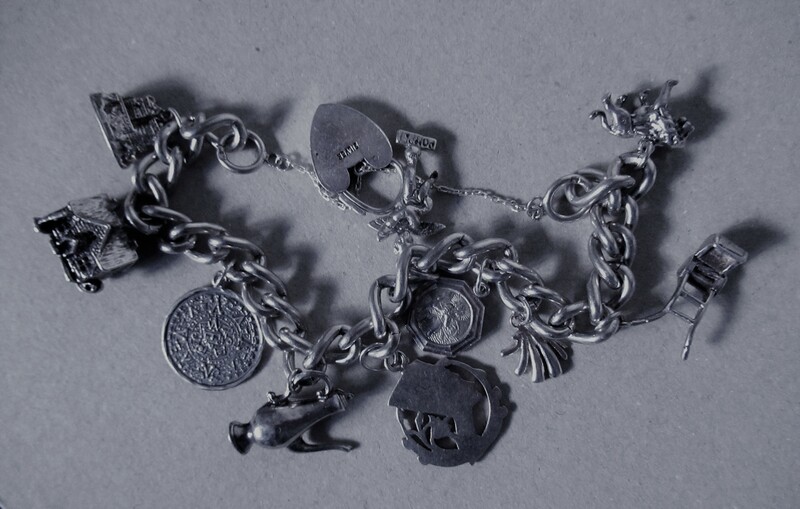 The silver sixpence and locket heart were on mine along with others, a shoe and those forgotten. Mine went long ago in a ‘sort out’ during one our hose moves. My mother bought the it when I was young and gave me a charm each birthday to add to it. I find fascinating both the tang8ble and the intangible charms you’ve shared. I have no tangible charm bracelet. The closest I’ve come is being given a Pandora-type [read knock-off] bracelet once by a person who made them, in the hope of creating more business for herself in follow-on charm sales. Her self-interest conpletely misread my style. Not wasted though. I donated it as a charity Christmas gift, where I’m sure it went to an appreciative owner. Those other intangible charms are my style. I’m enchanted by your telescopic visions. Somehow, especially charming moments crystalise into experiential trinkets held within the heartspaces of our selves to become timeless treasures of mind & time to be examined just as well as those lovelies you have on your bracelet. Good to hear from you, Dale.